Lembaga Kebijakan Pengadaan Barang / Jasa Pemerintah - LKPP or commonly known as the National Public Procurement Agency (NPPA) is a non-ministerial government agency in Indonesia engaged to implement development and formulation of public procurement policies. LKPP was formed in 2007 and operates directly under the President of the Republic of Indonesia. In conducting its function and duties, the Agency is under the coordination of Bappenas or the State Minister for the National Development Planning. The Agency is based in Jakarta and supported by 4 deputies, 12 directorates, and 3 bureau. Fill the online registration form. 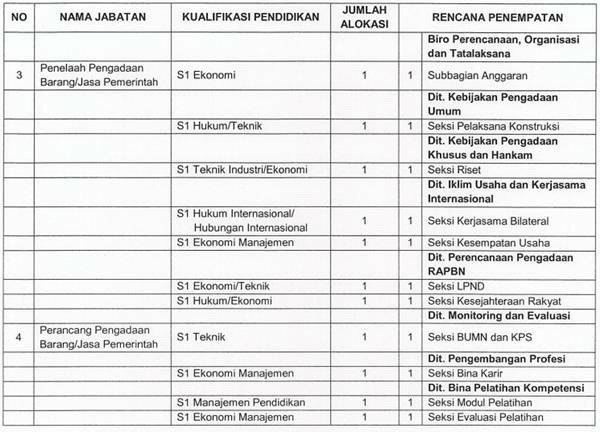 For detailed information, please refer apply from LKPP on following link below. 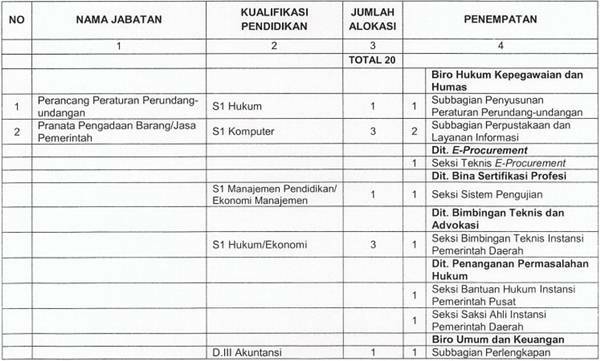 To apply this jobs, please register and submit your applications by online through rekrutmen.lkpp.go.id. Registration date 2 - 18 September 2013. All applications are appreciated and will be treated confidentially.